We at Pign Out BBQ do 6 cooks a year for our Veterans. 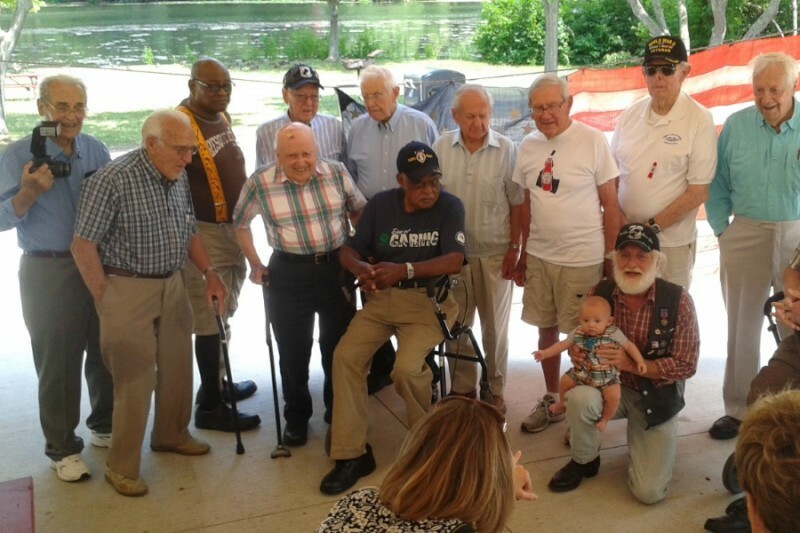 The photo is of the Former Prisoners of War support group in Ann Arbor Michigan. We do their summer picnic every year. We also cook for the Visually Impared Veterans of Ann Arbor MI and Toledo OH. We do their summer picnic as well as their Christmas lunchon. Also cook to feed the homeless Veterans in Detroit at the Michigan Veterans Foundation, Detroit Veterans Center. We do their Summer Stand Down event as well as a Christmas dinner for the 400+ homeless Veterans that live there. Once a year we cook for the PBJ Outreach fundraiser. This event rasies money to help the Outreach help homeless and less fortunate in Detroit. All funds raised will be put toward purchasing the meats we will BBQ, which is usually pulled pork, baby back ribs, chicken and brisket. Also the sides we serve, which is cole slaw, baked beans as well as mac and cheese. These are all home made and yes we do go all out for our Veterans. This is an ongoing campaign as we cook year round for the Veterans and once each summer for PBJ Outreach. We do this to show our thanks to our Veterans for their service to our great Nation and the sacrifices they have made for our Freedoms. And to help the less fortunate who are not as blessed as we are. God Bless our Vets! Thank you for doing this for our Veterans!